RGRTA Campus Improvement Project - Environmental Design & Research, Landscape Architecture, Engineering, & Environmental Services, D.P.C.Environmental Design & Research, Landscape Architecture, Engineering, & Environmental Services, D.P.C. The Rochester-Genesee Regional Transportation Authority (RGRTA) Campus Improvement Project is an expansion and redesign of the existing office campus and bus terminal within the City of Rochester New York, totaling 19 acres. Building on previous cultural resources studies, EDR conducted a Phase 1B archaeological survey for the proposed Project in 2015. The Phase 1B archaeological survey report was prepared to satisfy State Historic Preservation Office (SHPO) consultation under Section 106 of the National Historic Preservation Act triggered by Federal Transit Authority (FTA) funding and review of the project. In order to accommodate the project schedule, EDR archaeologists worked closely with RGRTA and the construction contractor in order to identify windows of opportunity to conduct the archaeological survey in between acquisition of individual properties and their demolition. Given its urban setting, the Project site had been previously identified as highly sensitive for historic archaeological resources. 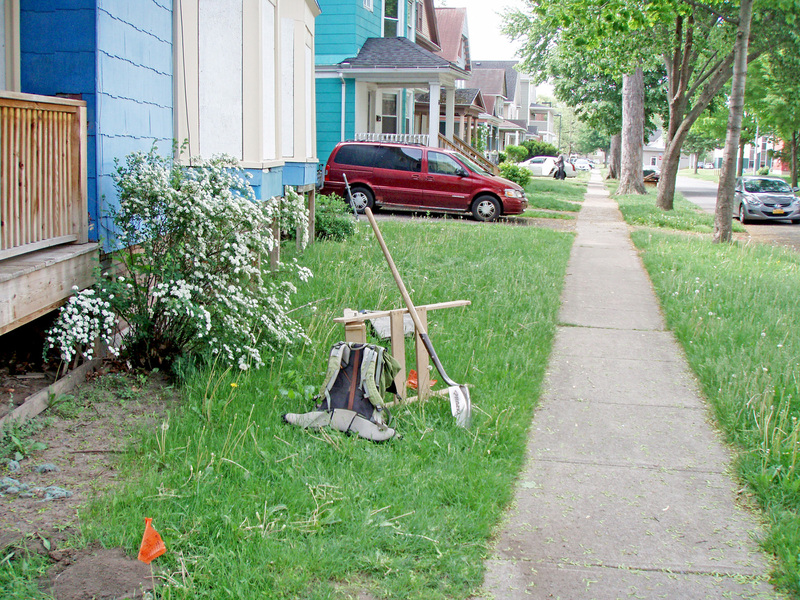 EDR archaeologists excavated 89 shovel tests throughout the Project site, which consisted of yard areas associated with early-twentieth-century residences. EDR also conducted a comprehensive historic map review in order to document the nature and extent of modern and historic ground disturbance in the area. EDR concluded that, although low densities of historic artifacts and debris were encountered throughout the Project site, no significant intact archaeological sites were present (or likely to be present) due to relatively high levels of historic and modern disturbance.